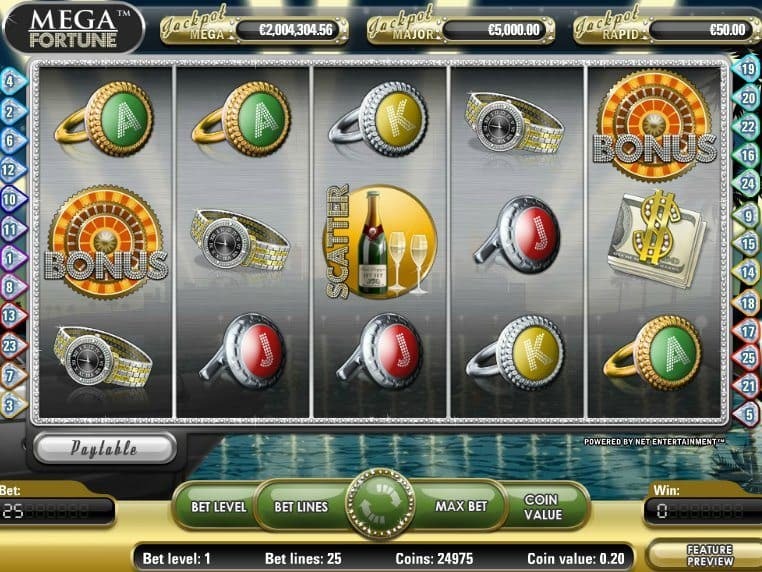 Mega Fortune is an exciting jackpot slot that has changed many lives since its release, back in 2009. It boasts of a luxurious theme and offers players the opportunity to win huge prizes. As a matter of fact, this is among a few slot games that have entered the Guinness World Record twice. This was after a player from Finland won a whopping 17.8 million from a single spin. It again broke the Guinness World Record for the highest mobile win of 8.6 million in 2015. The popular award-winning software developers, Net Entertainment, are the geniuses behind this amazing progressive jackpot slot game. Other than the above mentioned big wins, this slot is known for making several small jackpot winners. This progressive jackpot slot game is based on 5 reels and 25 paylines, making it very simple to play. What makes Mega Fortune to be one of the most versatile slot game is the fact that you can bet from 25c with the maximum 25 lines or 50c bet at 50 per a single spin. Any amount can make you the progressive jackpot winner, but chances also depend on the size of the stake. Ensure to adjust the coin size and number of lines to your liking before you click the SPIN button. To boost your chances of winning, this slot game is packed with special features and symbols. The symbols are represented by expensive items. This game has an appealing theme set against shadowy palm trees and is adorned with prestigious items. What’s amazing is that all these good things can become a reality in Mega Fortune. The sound effects are excellent and they will set you right in the mood of minting some good cash. The Wild: This symbol is represented by the super-yacht icon. It can substitute any other symbols on the reels except the scatter symbol and the bonus. 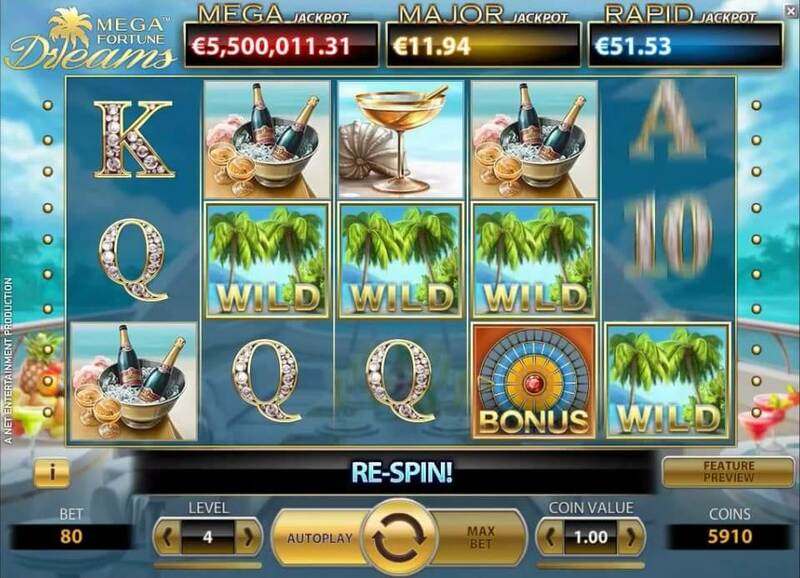 In addition, it comes with a 5x multiplier to create additional winning combinations. The Scatter: The fancy looking bottle of champagne is the scatter symbol. Landing 3 or more of these symbols on any active reels will trigger the free spins as well as multipliers. Bonus Wheel: To activate this feature, you need to land 3 or more bonus symbols. There are 3 layers on the bonus wheel, the first layer offers rapid jackpots, the second layer or major jackpot offers cash prizes, while the third layer is the home of the Mega Jackpot. It all depends on your luck and money.